In 1875 when he was just twenty-one years old, the French poet Arthur Rimbaud, exhausted his muse, tossed his pens and hit the road. “Je suis damné par l’arc en ciel,” he declared. 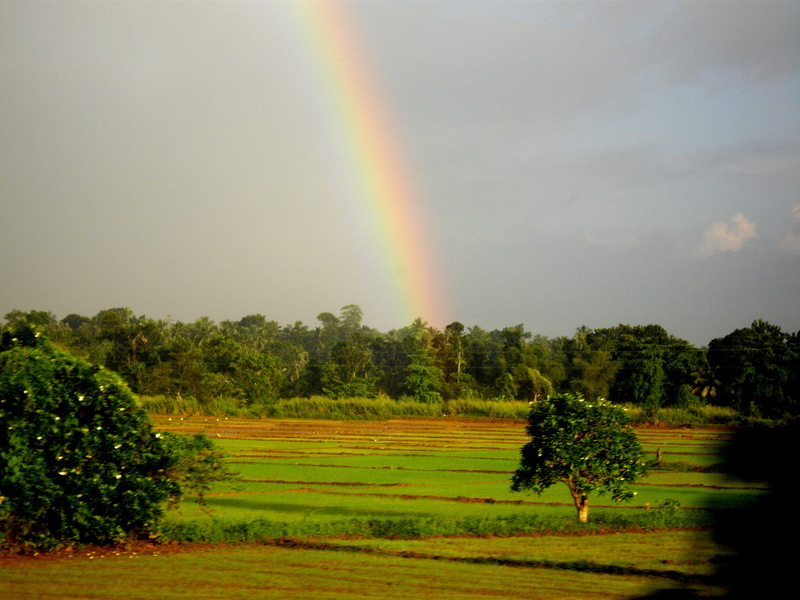 My hopes and dreams fade like a rainbow. Our train chugged along eastwards through the rice fields and rubber plantations between Colombo and Batticaloa. 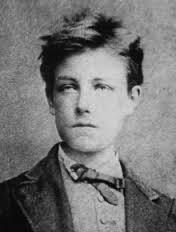 I thought about Rimbaud and Sri Lankans his age. It’s easy to sympathize with young people these days and wonder what will happen to them when the news, fake or real, is generally so bleak. It’s also worth remembering Rimbaud survived a few more years after he gave up poetry to become a moderately successful slave trader and gun-runner in Abyssinia. And here we are making whoopee a hundred and fifty odd years down the road since he made that fateful decision, one which the whole world unwittingly seems to have mimicked. We don’t need pundits to tell us the weather is bad after a month of rain and flooding in Batticaloa, and that it’s going to get worse every year, according to reports from the UN Climate Change Conference (COP 21) in Paris unless we do something about it. Very reassuring that the landmark goal of net-zero emissions agreed upon by two hundred participating nations means we’re finally starting to take serious steps in the right direction. Also a big relief that no one there claimed ISIS is unquestionably responsible for the world’s meteorological malaise since only they have technological sophistication sufficient to arrange events of such apocalyptic magnitude. But be not discouraged, drones will continue to fly, especially if ‘the Donald’ assumes power in the Washington. No, not Donald Duck. Unfortunately. Donald Trump! He’ll not only fix the weather when elected but also the faltering world economy. Essential commodities get more expensive with poor people falling deeper in the hole while Donald’s gang – special interest groups, insiders and scammers – run away with the show. The rest of us stew in our juices waiting for the worst to happen while naively hoping for the best, maybe even a rainbow at the end of the road. In reality old people worry about physical and mental deterioration, pensions and destitution. Young people worry about an uncertain future with no possibility of honourable work. Children are conditioned to fear the worst, if not in their classroom lessons, then by witnessing atrocity on TV or through social media, like the mass shootings recently in Paris and San Bernadino. Fear is common currency on a poisoned, over-populated planet where a million news babies are born every four days. With few exceptions political leaders promise change without following through. Most focus on their own constituencies without regard for the bigger picture. Maybe they don’t understand the magnitude of the environmental cataclysm we face and the changes required locally to mitigate its impact worldwide. Or maybe they do understand but fear to tell people the truth and then act on it. Some encourage the proliferation of fear in the population because it inspires people to do what they are told without question. It sanctions emergency measures and censorship. Now is the time for ordinary people, especially young people, to take counsel among themselves and with their elders speaking up where Rimbaud left off. This is not the time go silent turning our backs on uncomfortable truths. Poets and artists act as the counterweight to fear. In his 1995 Nobel Prize address Seamus Heaney put it this way: “Our poets don’t change the world. They change the way we look at the world. They provide a glimmer of something better.” This is the creative spirit we seek to animate with the Out-of-the-Box Curriculum. At Monkey’s Tale Centre over the last six months we have invited students from Eastern University to participate in regular workshops and focus group sessions, collaborating with us to refine and perfect the Garden Path Out-of-the-Box Curriculum. In early 2016, given the necessary funding, we will move on from the research and development of these toys to education and implementation in the Batticaloa District, hopefully using some of the same students as facilitators in the field. Because they originated in the play of children at the Butterfly Peace Garden during years of conflict in Sri Lanka these toys are potent seeds of peace and reconciliation. Young Tamil and Muslim university students practice and cultivate the art of imaging, imagining and illuminating stories that arrive full-blown from the archive of their innermost memories. Using toys from the Out-of-the-Box Curriculum they reconcile their fear, alienation and inhibition with a hopeful vision of the future, both on a personal and collective level. As the process unfolds it will also include Sinhalese students and artists. The stories below are translations of what I have heard in the Story Crow Workshop (Part II) on November 19. It included 8 students from Eastern University Fine Arts Department: Navarani Thavarasa, Gnanashakti Somasekeram, Anuja Shanmugam, Tharsini Nadarasa, Anuja Elangotharam, Renujan Atputhaiyam, Pradeepa Thilainathan and S.Kiruja. We also had three guests: Asami Yamanaka from Japan, and Sunjoo Hong and Seoyun Lee from Korea. Image and story, to a profound degree, depend on periods of silent incubation in order to be made manifest. Silence embodies the mystery of not knowing and is a unitary, indivisible experience. Eventually all things return to silence. It always gets the last word. And to what does silence return? Well… random possibility, another image, another story, music, static, noise, and finally, once again… silence. The procession is all of a piece. It is all flow. It is one, though its parts are innumerable. Like elephants in a parade you may chose any one and go for a ride. The silence through which the elephants proceed eventually envelops and dissolves them back into itself. This is the elemental matrix in which all creation is born. Poetry (and art) make nothing happen, but through our images, poems and stories we catch a brief glimpse of nothingness, which is all there is, and the Great Mystery of creation abiding in it. We did not introduce a new toy this time in our 6th focus group. Rather we returned to an old reliable friend, the Story Crow, who is always happy to conjure up a tale at the drop of a hat. This time we allowed him three minutes only to spontaneously create stories, plausible and implausible, from randomly selected snapshots taken off the Internet and icons mastered in our studio. A three-minute sandglass timed each story rendition with participants speaking for him. Given the strict time limitation the results are intriguing. A sampling of these stories follows below. When Sudani was a small child her parents provided for her every need, and beyond that, her every wish was catered to. She had no idea how hard they worked for her or how poor they really were. When she was ten years old she fell off her bike and was hit by a passing tuktuk on the way home from school. She was confined her to bed and then a wheelchair, followed finally by crutches, all of which kept her housebound for a year while in recovering from the accident. Naturally her parents took care of everything. Their compassion knew no bounds. Once she made a complete recovery and was able to return to school she vowed to make up for lost time and excel in her studies so that she could repay them for their unwavering kindness. She passed her A/Levels at the top of her class and entered university where she also excelled. Her motivation was as clear as their kindness was true. At the heart of her dream for a successful future was care for her parents in their old age the way they had cared for her as a child. Kattaiparichchan is a village in the jungle near Trincomalee. 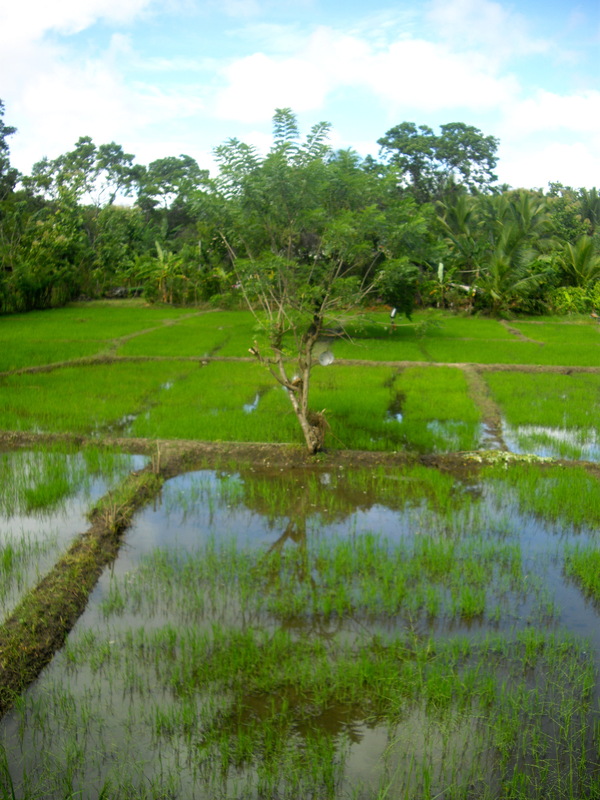 Sukanasekeran was a farmer who lived there with his wife and family. He cultivated rice and toiled in his vegetable patch every day, then in the evening he taught the village youth silambam, an ancient martial art involving dance and defense with long sticks. One day after working hard in the paddy field he returned home more exhausted than usual. His wife brought him a cup of tea and, while he drank it as she absent-mindedly plied him with questions. He did not answer. His son came back from school and asked him about his day the same way his mother had. He got the same response. Nothing. “Why are you’re sitting there like a dead man, Appa,” he said, “what’s the matter with you?” His father didn’t respond but if had responded, he’d simply have said, “Nothing’s the matter, son. I’m dead, that’s all. It happens to everyone sooner or later.” He sat motionless as a statue: calm, cool, silent… and dead. His students came to his funeral to pay their respects. They danced around his coffin with their silambam sticks and honoured him with garlands of flowers. As a boy Aswin fell in love with music, especially Indian traditional music, and a sub-continental genre of rock ‘n’ roll and jazz improvised from it. A.R. Rahman, the South Indian composer, singer and songwriter was his idol. He wanted to be like him, dress like him, walk, talk and perform like him, and one day, he hoped to be just as rich and famous as he was. The angel music at church bored the socks off him but he gave himself body and soul to his choir. When he got to university he made a step closer to realizing his dream playing mridingam with a small group of musical friends. It was hardly enough. He became obsessed with the idea of going to India and playing with Rahman. He walked, talked, ate, danced and dreamed music. One night he got up and crept into his mother’s bedroom and, while she slept, stole her gold bangles, bracelets, rings and even her wedding necklace. That got him to India where he worked his way to the top playing with the best musicians of the day, including Rahman himself. His dream came true, but he never forgot his mother and her necklace. Sometimes he felt it choking him when he sang. He saw her face, her beautiful sad eyes. He wondered if betraying the best in him had made him a better musician; a better man perhaps. Sometimes even the best songs stuck in his throat. Danu was remembering something that happened to her when she was five. That was twenty years ago. She remembered sitting on a hinged rice scraper on the kitchen table watching her mothers preparing vegetables to cook on the kerosene stove. When she stood up and jumped to the floor the coconut scraper sprang open and knocked a pot of boiling water down scalding her face and neck. Her father returned home from work and saw what had happened. He was so furious he smashed the gas cooker to the ground, jumped up and down on it, and then threw it into the street. After that Danu and her father became best of friends. She realized how much he loved her, maybe even more than her mother, because the two of them always bickered and disagreed. Danu usually took her mother’s side in their arguments until, one day, her father turned and doused her head to toe with kerosene. Still ranting and raving like a madman he turned to get matches from the next room. When he came back the whole family, Danu’s brothers, sisters and other village friends, had formed a circle around her, silently defying him to strike the match. Nimal was orphaned by war when he was a year old. Some neighbors adopted him and took him into their family as their own son. From the day he arrived, bad luck stalked the family. A newborn daughter died of fever before she was a month old. The buffalo that did all their plowing broke a leg in a mudslide and had to be put down. An incoming army shell hit the nearby Amman temple. Too many bad things happened so they went to a soothsayer who looked into the matter and pointed her gnarled old finger directly at Nimal. That your problem, she said. As long as that boy’s around things will never get better. So they got rid of the boy. Dumped him by the side of the road where a stranger found him and took him to the local orphanage. Dumped him again. 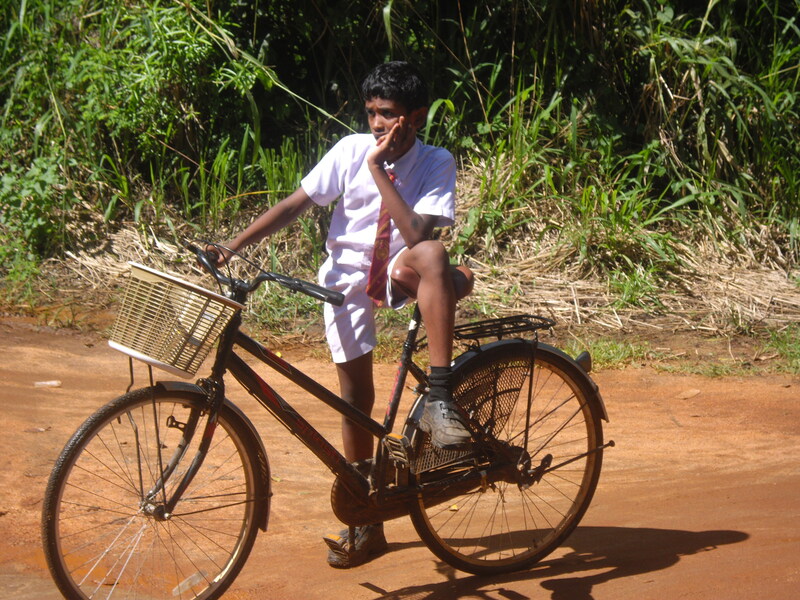 Nimal grew up from the time he was two till he was sixteen in that orphanage feeling dumped. He attended the local school and whenever there were social functions he watched the other children sitting with their parents and wondered what it would be like to have a mother and father, brothers and sisters. Closest he came to that was when he men an older boy, Raju, who’d take him to an abandoned shop to play around and smoke, sometimes cigarettes, sometimes other things. Before he smoked anything for the first time he asked the older boy what the smoke did. “Try it and find out for yourself”, said the boy, “you’ll go to heaven.” Nimal smoked and went to heaven. He never came back. 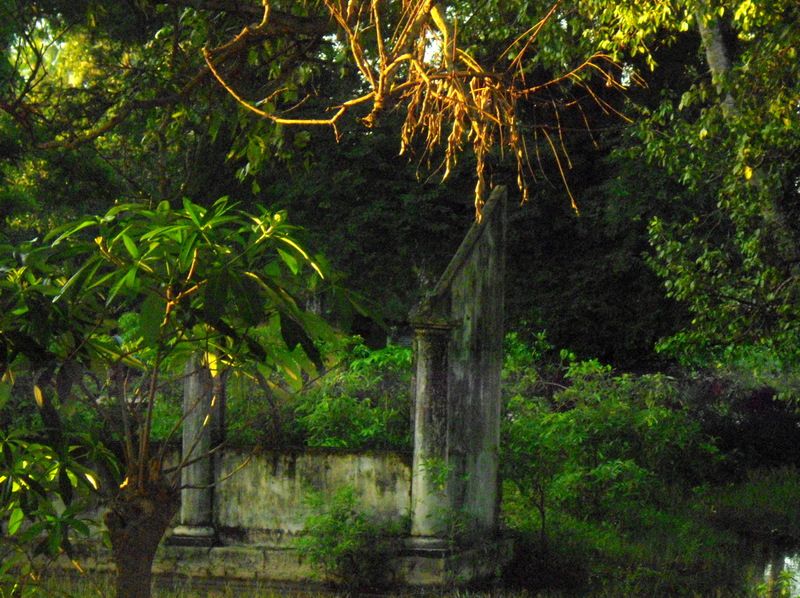 Senaiyur was a deceptively beautiful village evil as the day is long, and more dangerous at night. Religious intolerance, caste intolerance, ethnic intolerance, sexual intolerance, every kind of intolerance imaginable (except ‘intolerance’ intolerance) saturated the blossom fragrant air. Hypocrisy too was a highly honed art and woes betide the man who tried to be true to himself. Kamal, for example, married a low caste woman who captured his heart while he was still a youth. Though he knew this would blacken his name, he thought better a black name than a black heart. Problems only came later when he died. He could not be buried in the high-caste cemetery next to his mother because he had married below his caste. Certainly his wife could not be buried there. So he had to decide to live for eternity next to his mother or next to his wife. Come the end of his days, he chose his mother as a companion for eternity, but that was not enough to keep the hard-core fundamentalists happy. His son, a field officer with the Red Cross, pulled a few strings and crossed a few palms to get all the corpses in their appropriate resting place. Thus mother and son were united forever six feet under and the love of his life, well he didn’t have to worry about her once he was dead with his momma in bed. 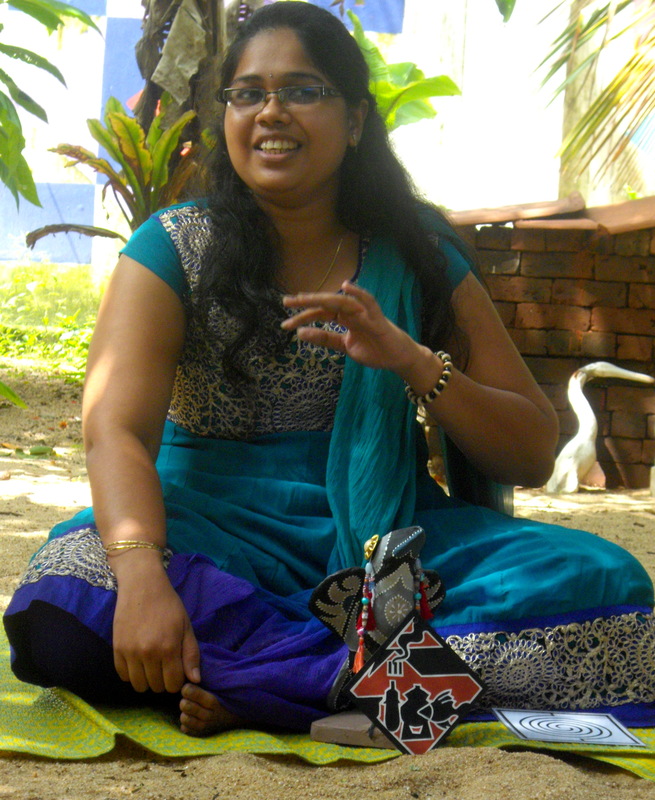 Lisa was an office worker in a tall tower in downtown Colombo. After work on Fridays she liked to go to a friendly little café in her neighbourhood to treat herself to a cup of coffee with little cakes and live jazz on the side. This particular day the café was crowded downstairs so she went upstairs and order a hot coffee latte at a balcony table overlooking the street below. The waiter brought her an ice coffee. She explained it was not what she had in mind. The man at the next table, however, had ordered an ice coffee so she offered him hers, which he graciously accepted. The waiter went off to get her hot latte. Meanwhile she and the man at the next table began to chat. They discovered their grandmothers were from the same village. Because of the waiter’s mistake they became good friends meeting there every Friday evening after work. Later they married and moved back to their hometown where they opened a café and settled down doing what they loved most. Kumar was a twenty-five year old bus driver on the Colombo-Batticaloa night run. He usually slept five or six hours before the midnight departure but one evening when the cricket final between New Zealand and Sri Lanka was being contested his friend Sudarshan came by with a bottle of arrack to root for the boys in blue against the All Blacks. Kumar was drunk when he hit the road that night and somewhere near Dambulla he hit a cow crossing the road. Luckily no one besides the cow was hurt so he and a couple of passengers buried the cow whose grave he marked with a stele inscribed with a crudely drawn cow skull and horns. Later Kumar swore off drink and came back to build a small roadside shrine. People would stop there and leave offerings of food and flowers. As time went by word spread that a mysterious swami was buried there, a holy man with extraordinary powers to keep people safe on their road trips and prevent accidents. Miracles happened too and the holy cow shrine became famous throughout the land. Only the driver and a few passengers knew the holy man was really a holy cow and they weren’t telling anyone because the till box brought in enough to keep everyone happy. And better than that, Kumar didn’t have to do the night run anymore. Chanpae was twenty-six but he about nineteen. He had no education to speak of, being a country boy born and bred to slog through the paddy field behind his father’s team of buffalos till he dropped. Round and round the rice fields he’d go during the season of rain and mud muttering to himself about what he would do when the rice harvest was in. He would finally have time to attend the convocation to receive his medical degree from the imaginary university he attended in the rice field. He was a great charmer and talked his best friend – a field laborer at the neighbor’s farm – into becoming the ambulance driver at the clinic he planned to open and his girlfriend into being the nurse. The three of them talked about this clinic so much it soon became a reality. Lucky for them the village where they chose to set up their practice was so remote and everyone was so healthy no one ever sought called in at their clinic. The three of them were well respected, however, and became fixtures of importance in that village, which was all they really was all they wanted. How did you enjoy this program? How can you share it with your community? Through all our years in school we just read other people’s stories but here we make up our own. I just started yakking having no idea what I was saying at first. The words kept tumbling out and, presto! At the end of three minutes there was a story. 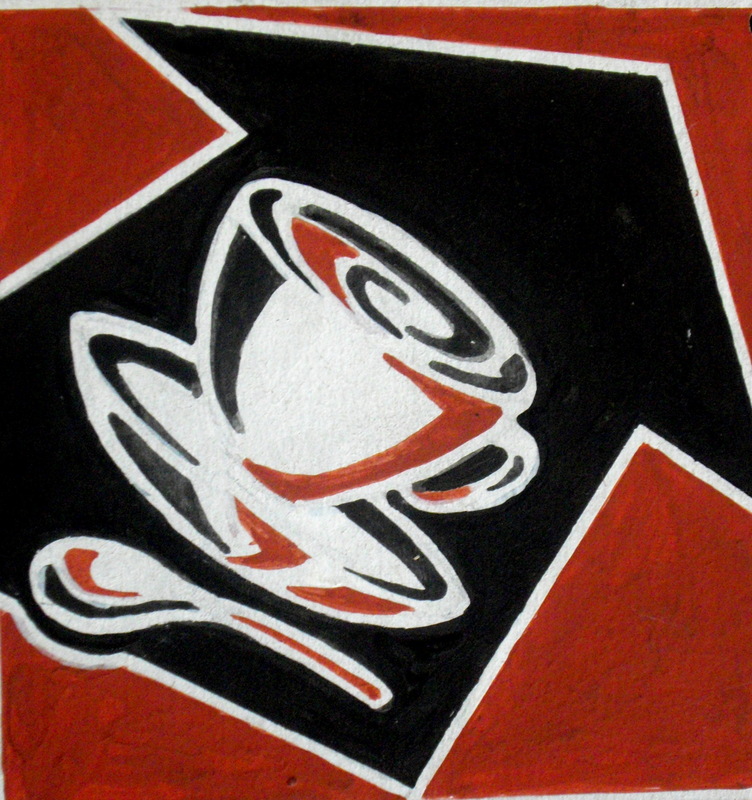 When I heard the bowl bell chime I drifted off to another world and that ultimately is where I found the story. Incidents that are painful to bear and even more painful to tell can be expressed in a medium like this where nobody knows what you are really talking about because you offer a fictional approximation only. Learning to limit the story to three minutes is also learning to discipline imagination, something that’s often hard to control. This is good practice for stage because we learn to improvise and make up stories on the spot. Good practice for life too. They should teach teachers this technique so that maybe they can be more spontaneous and a bit less boring in class.